LONDON — Earth-i, a British startup planning to provide high-resolution images and video of the Earth, has awarded a contract to Surrey Satellite Technology Ltd. (SSTL) for its initial set of satellites. The companies announced Nov. 21 that SSTL will build Earth-i’s first five satellites for launch in late 2019. SSTL was already under contract to build a prototype satellite for Earth-i, known as Carbonite 2 or EiX2, scheduled for launch in late December on an Indian Polar Satellite Launch Vehicle. Terms of the new contract were not disclosed. The basis of the project is Carbonite 1, an 80-kilogram technology demonstrator satellite built by SSTL and launched in 2015. That satellite, still in operation today, demonstrated the use of commercial-off-the-shelf technology for high-resolution Earth imaging, including taking video from space. 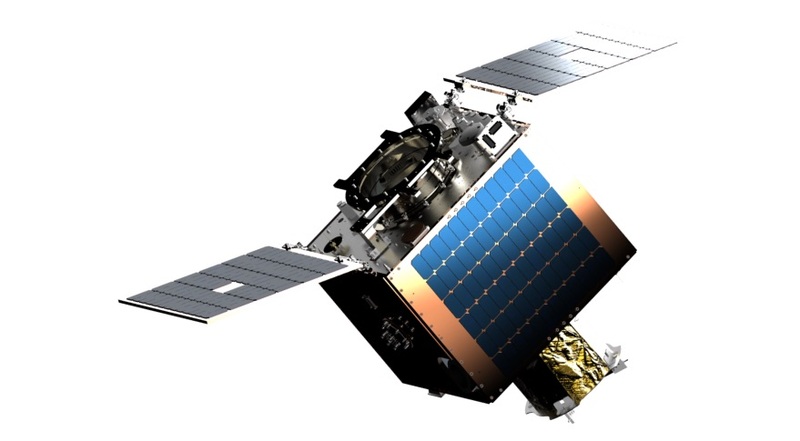 The new satellites, the companies said in a statement, will be based on Carbonite 1 and the newer prototype satellite, but with “significant additional enhancements” under development at SSTL. In a Nov. 22 presentation at a Royal Aeronautical Society space commercialization conference here, Richard Blain, chief executive of Earth-i, emphasized the video capabilities of the company’s satellites, which have been demonstrated by Carbonite 1. The satellites will be able to provide ultra high-resolution color video at up to 50 frames per second. “It offers new paradigms in terms of what this gives us and what we can do with it,” he said. That includes the ability of using video to provide “patterns of life” information as well as using the video to develop more accurate three-dimensional models than possible with still imagery. Earth-i plans to deploy 15 satellites for its full constellation in batches of five satellites each. That system, the company says, will provide daily revisits, with higher revisit frequencies possible with additional satellites. In an interview after his talk, Blain said the timing of future batches of satellites will be driven by customer demand, but anticipated that the second batch would follow the first by 12 to 15 months. Those future satellites, he said, would likely be built by SSTL, based on his satisfaction with SSTL’s work to date. Blain declined to go into specifics about Earth-i’s finances, but said that the company has a “very secure financial roadmap” that takes it through the launch of its first five satellites. At a national level, the contract between a British satellite manufacturer and a British satellite operator was hailed as a milestone for the country’s overall space industry. It comes at a time when the industry is both concerned about the uncertain effects of the United Kingdom’s withdrawal from the European Union on its business, while also seeking further government support to expand its capabilities and global competitiveness. “Some of Britain’s most exciting commercial opportunities are in the thriving space sector and it’s great to see two homegrown companies joining forces to lead the world on Earth observation technologies,” Jo Johnson, science minister in the British government, said in a statement.